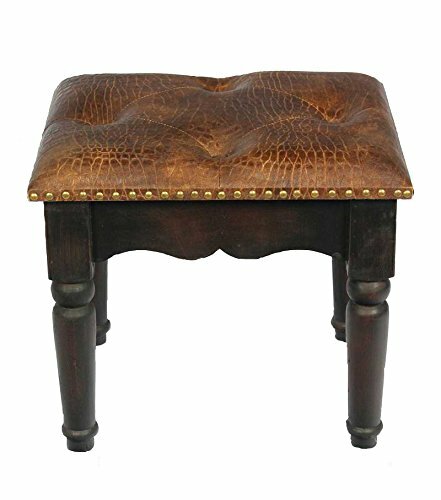 Essential Decor Entrada Collection 16.93 X 18.9 X 16.14 Inch Black Leather Stool. Established in the year 2000, Essential Decor has quickly grown to become a market leader in the Home Decoration industry with its line Entrada Collection. We understand the importance of innovation and thus we have this new product to offer. This product is well loved by customers everywhere due to the style, quality and value. Find your Home Decor needs from our Entrada Collection Line. If you have any questions about this product by Essential Dcor Entrada Collection, contact us by completing and submitting the form below. If you are looking for a specif part number, please include it with your message.